It is reported from Geneva that a consequence of general relativity has been observed at its extreme around a black hole that is hardly computable on Earth. Physicists observed the distortion in space-time fabric around a black hole. This distorting effect, driven out from relativity is also known as Frame Dragging. This research was articulated on December 16 at the Texas Symposium on Relativistic Astrophysics. Researchers noticed this frame dragging by scrutinizing the X-rays originating from the debris disk circulating around black hole that is about 28,000 light years away in the Milky Way. The theory proposed by Albert Einstein about relativity explains gravity as the deformation of space-time due to huge objects. As our Earth creates a cavity in space-time like a ball would do on a rubber sheet. This notion got less acceptance because it specifies that if the ball were spun, it would yank the sheet along with it too. Physicists evaluated the Frame Dragging generated by our Earth by using gyroscopes inside the satellite. If the principles of relativity had not implemented correctly, the axis of rotation of each gyroscope would have aimed in the same direction for ever. But the researchers observed that the axis of Earth’s rotation is drifted by a hundred-thousandth of a degree per year. Frame dragging is something that surrounds a black hole and assembles an enormous mass in a small volume. Whereas it is not possible for researchers to take the satellite around a black hole, but they can study the nature of debris orbiting the black hole. By using the data from the XMM-Newton Space Telescope, the researchers observed the X-rays released by the iron ions present in the debris surrounding the black hole. These ions emit X-rays at a significant rate. Adam Ingram and his colleagues analyzed how the frequency of these X-rays changes with time. 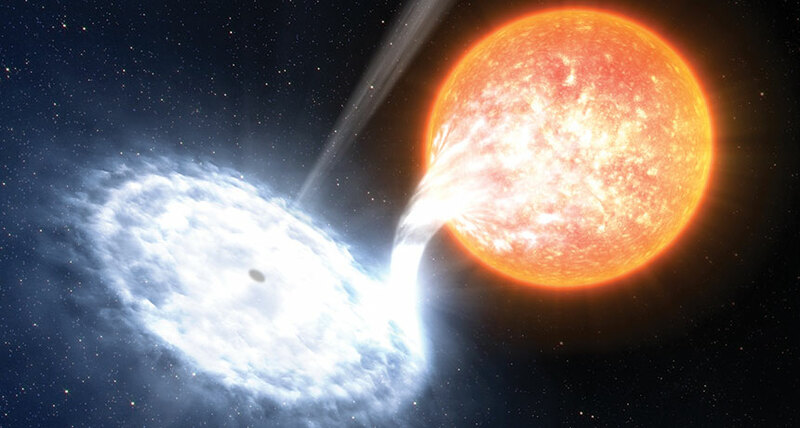 According to the changes in frequencies, researchers deduced that the debris disk is not just orbiting the black hole but also moving unsteadily from side to side. When the black hole rotates it pulls the disk with it in the space-time fabric. Ingram described that this frame dragging effect is 100 trillion times stronger than the effect the gyroscopes experienced by Earth. Ingram also suggested that how scientists can use these X-rays as scanner to see black hole from different positions and many further studies can enable scientists to test Einstein’s theory.